How would Martin Luther’s quote about the shoemaker look in your context? I’d love to see what you think. 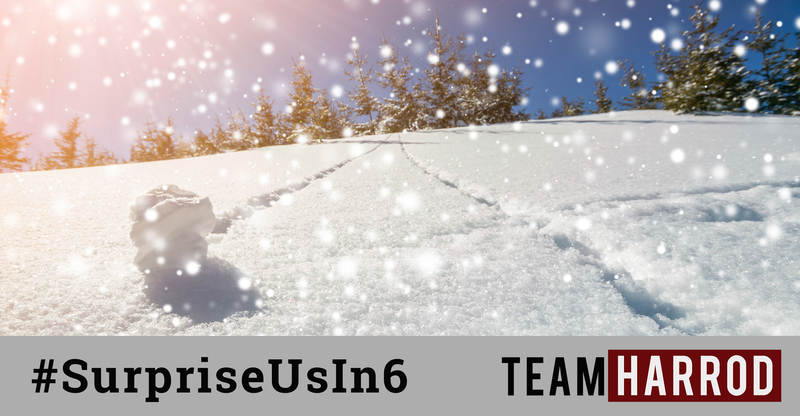 We hope and pray our #SurpriseUsIn6 posts are encouraging to you and challenge you in your own life. We also are still trusting God through many like you reading this to SURPRISE us in our last 6 weeks in the States and help us go back to Prague fully funded on February 12th! If you’d like to help you can CLICK HERE to give today! 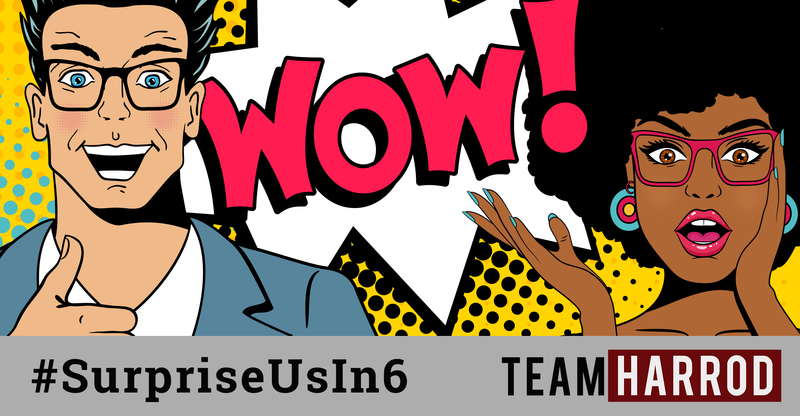 #SurpriseUsIn6 – Why it is so GREAT being in the States to raise support? I’m going to be honest with you, raising support is hard. Sometimes, I don’t even want to think about it and pretend it’s not something we gotta do. I don’t want to start worrying when things don’t go the way we had pictured them. BUT it is also really great. It helps us see the bigger picture and the perspective that we might had lost in the midst of everyday tasks and regular rhythms of ministry. It makes us stop, think, reevaluate and dream. It gives us more opportunities to pray than ever, as we traveling a lot ?. It shows us that we still have ways to go in trusting God completely when we start to worry and don’t know how things will go for us. It ‘causes’ us meet with our friends – partners – potential supporters and have conversations. During these conversations we remember more and more why it is that we love Czechs and long for them to meet Jesus and to know his deep love. It helps us appreciate every single meeting and opportunity to share because God can stir people’s hearts in ways we don’t understand but can hope for. We can go back to the people, city, country and continent God has called us to with fresh perspective and zeal that we wouldn’t regain through any other experience. That’s why we are THANKFUL for support raising. 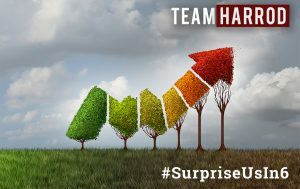 It can get really difficult and sometimes very discouraging but through the support raising process we surprisingly grow to loving the process and the opportunity. ? We trust God to provide for us and for the mission amongst Czechs that he’s called us to, but if you’d like to become an answer to our prayers for support and an encouragement to us in the midst of one of the most difficult support raising seasons we’ve had yet, please contact us or CLICK HERE. Let’s talk and then start partnering to see God draw Czechs back to Himself! 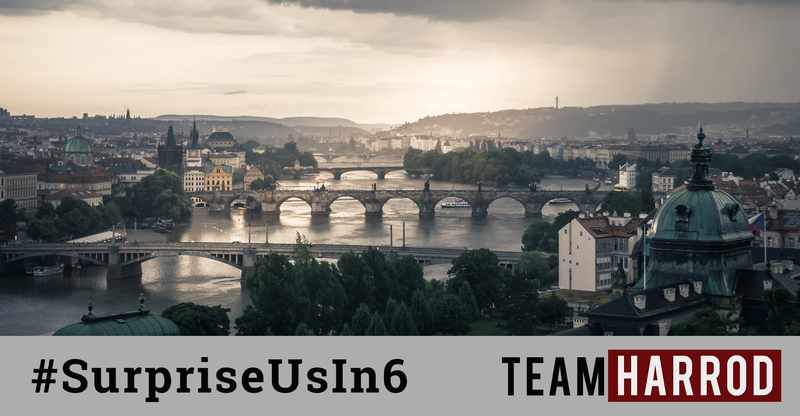 In our #SurpriseUsIn6 series, we haven’t shared too much yet about what we do in Prague. We have shared more about why we do it and what we are hoping and praying for as we do it. Today I thought it would be great to share some about the church we are part of in the center of the city and how our church loves the City of Prague. 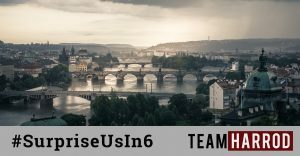 We seek and strive to be a community of people that long to see Prague thrive and be the most beautiful she as a city could possibly be. We pray for Prague and the people that live in Prague, because we believe that when Prague thrives, we thrive. We don’t look at our city scornfully and with judgement, but we seek to have the posture of Jesus, who “drew near and saw the city and he wept over it.” So we seek the welfare of Prague, we pray for her and her people, we long for her to live to her potential and we know that in that as Prague becomes a blessing, we will also be blessed, too. Which is a beautiful truth we see throughout the Bible, that we are blessed to be a blessing. What would your city look like if you and your church had the posture of Jesus, if you sought the welfare of your city? 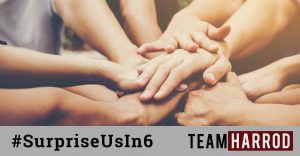 As we share our #SurpriseUsIn6 posts, of course we are sharing in hopes that many of you reading this will be part of God surprising us and helping us reach full support, BUT we also want to encourage people, so that Jesus might be made much of where you are, and that the beauty of the Gospel would transform OUR communities across the globe! So please stop and pray for your city. Then pray for Prague, our church, and for us that God would surprise us! Do you want to be part of what we are doing, CLICK HERE to give. Would you pray with us for this as well? While we understand this is life and life in ministry, we’ve had friends who have been with us for years in this, and they have said things like, “What you’ve experienced in a few years, is what some missionaries experience in a lifetime on the field.” When we’ve heard that we don’t know how we should feel. We aren’t interested in comparing ourselves to others, we long to be faithful and see Jesus made much of through our lives. So that means when the snowball has been crushed in the past, or maybe even today still, we start packing another snowball and start the process again, trusting that if we trust in Him nothing we do is in vain. Faithfulness. Being steadfast. Being immovable. Trusting in Him through it all. Please pray that we would continue on in that and that Lord-willing, God would in the midst of this bring momentum, that then we would by His grace sustain. If you would like to partner with us, you can CLICK HERE. 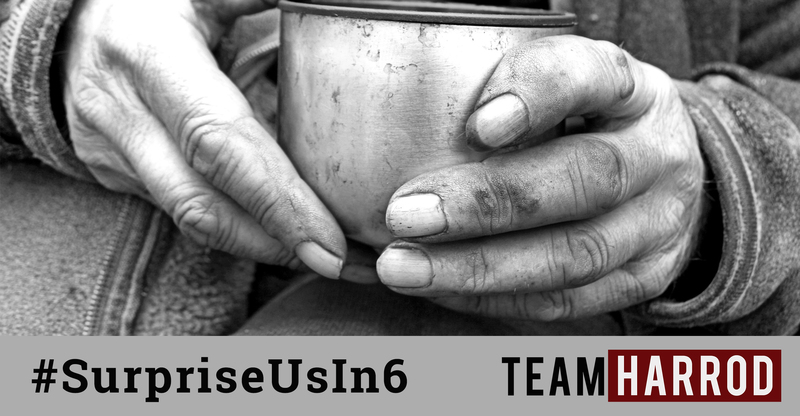 Two words paralyze some people (including us at times) that are interested in being missionaries or serving – SUPPORT RAISING. There have been times I’ve wept as a result of support raising, even during this trip, but there are beautiful aspects of it as well. 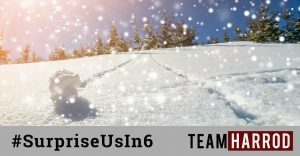 We’d like to share some of those beautiful aspects with you during this #SurpriseUsIn6 campaign, one of them being friendship through partnership. See the majority of those who partner with us to make a difference in the Czech Republic didn’t know us before beginning their partnership, but as they join us through financial giving, praying for us and sharing their life with us something develops that’s deeper than partnership (supporter-supported relationship). A friendship develops. Míša and I both were teary-eyed and thanked him, then thanked God. So as we trust God to provide for us again, we aren’t merely looking for supporters but friends to love at all times and through adversity! Do you want to be part of GOD suprising us in thes last 6 weeks back? YES!?!? CLICK HERE! These instances in the NT when people marveled or were surprised it was that Jesus, his teaching and authority isn’t what they had expected. 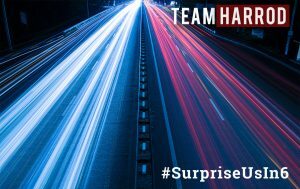 The Messiah wasn’t supposed to be “like him, a peasant from that place!” Or so they thought and while God gives enough clues in the Bible to what the Messiah would be like, here we see God surprising us, doing something that we didn’t expect. That’s Him. That has been God in my life. Recently I was sharing at a church and I said, “I never would have thought, that God would have called me to the middle of Europe, that I would learn a difficult language that I could preach in, that I would marry a woman from another country, that I would be working on being a duel citizen and the list could go on.” Through this all God has been faithful in the midst of it even through seasons of life that I had no idea what was going to happen and how I would go on. So today as I think about our time in the States and the support we need to raise so that we can do what God has called us to, I am praying, “God you have been faithful. God you have given me reasons to marvel in the past. Please show up again in faithfulness and surprise us!” Would you join us in that prayer and consider being part of God surprising us? Would like to be part of this, CLICK HERE to give online! 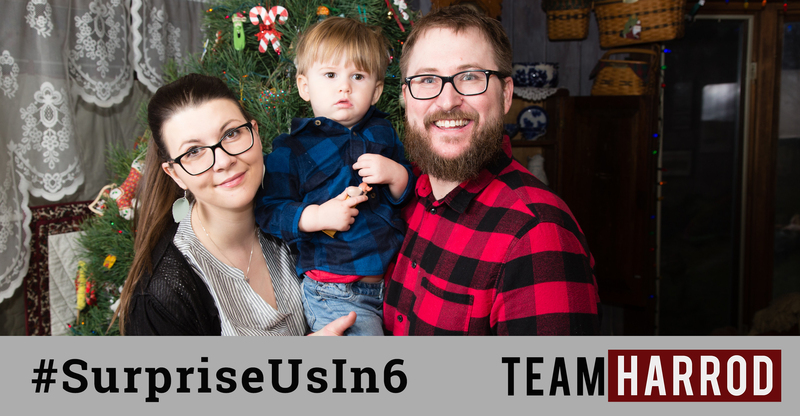 #SurpriseUsIn6 – You shouldn’t have brought your baby amongst us! Every month, our missional community prepares about 100 servings of food and hands them out to those in need at the main train station. Afterwards we stay and talk to people who want to and after 2 years we have friends amongst them. It is a wonderful and rewarding ministry, possibly because we can tangibly provide for one of their physical needs and afterward we can listen to their stories/complaints/other needs and help them not feel invisible or unheard. When our family grew and Ollie came to this world, God gave us new role of “family on mission”. When it came to serving food to the homeless, of course we had some reservations and slight worries. But we decided to trust God and follow Jesus in His ways of coming to ALL people. When we showed up with about 3-week old baby amongst them, you should’ve seen the reactions! Most of them amazed we were not afraid to bring Ollie and hand out food having him in a baby carrier, some genuinely worried he’d get sick from them and some of them were upset with us for being “bad” parents, who take their baby amongst well them. As they said themselves, a lot of them were dirty and some sick. It’s not the crowd you’d normally bring a baby to. I have to be honest and admit that when some of the ladies started petting Ollie’s leg or gave him a toy right inside the carrier, I froze and prayed we weren’t just acting stupid! But God took care of us and Ollie’s healthy and still coming with us, with him being all active it brings new challenges (like used drug injections laying on the grass in the park surrounding the place) but we’re thankful God gave us the courage to start serving as family from the very beginning. 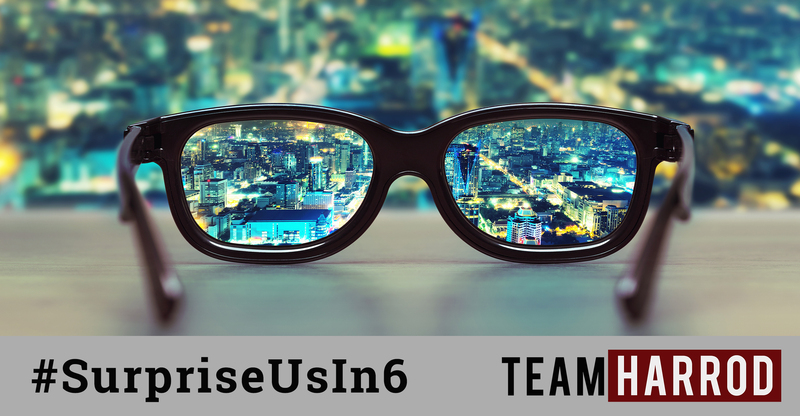 Learn what #SurpriseUsIn6 is by clicking HERE. 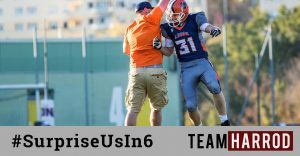 If you would like to be part of what we do in the Czech Republic through supporting us click HERE. 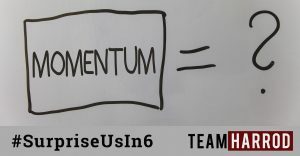 MOMENTUM – What comes to your mind when you hear the word MOMENTUM? Before you check out what images come to my mind when I think of momentum, share in a word or a picture in the commentary below, I would love to see what came to your mind. 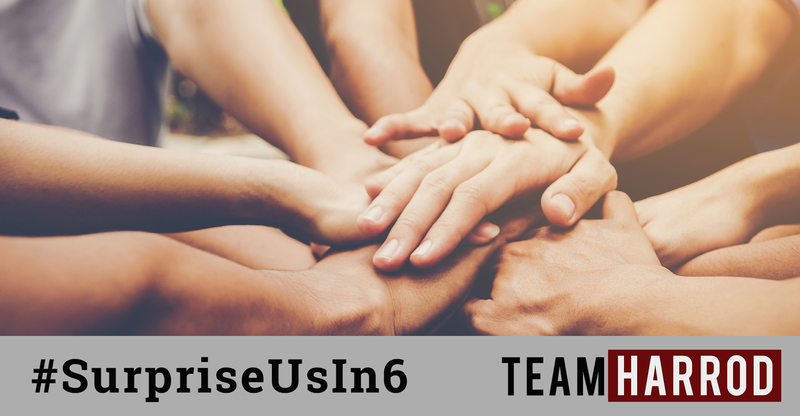 As we are in the States working on raising support & developing our team of ministry partners one of our top prayer requests is simple – sustained momentum. As we have shared since being back, I’ve thought a lot about how I would imagine momentum. 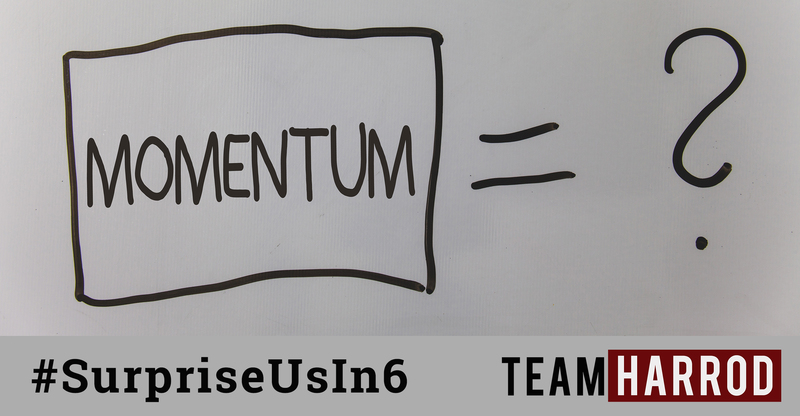 When I googled “momentum” these were the top images I saw – swinging balls, tables with rising figures & traffic. Beyond those images, rowdy football fans come to my mind, because when a team catches momentum there is almost an electricity in the air, I love that feeling. Beyond the physics definition of momentum, this definition stood out: strength or force gained by motion or by a series of event. That is perfect! Even as I typed that, my heart fluttered a bit & began longing for “strength or force gained by motion or by a series of event.” See, our work & lives in Prague consist of something like this, a few events that start to lead to motion being gained & then it happens, almost like clockwork – BOOM – something happens and it is like a punch to the stomach, the momentum is stopped. Then we have to start slow & build up to the point where we feel like something might be happening & then BOOM, momentum is broke again. Then repeat. Living this for 15 years, or maybe longer, of ministry is tough. Would you pray with us for sustained momentum, SO THAT WE CAN FINALLY SEE BIG THINGS HAPPEN? 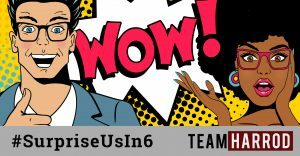 This also goes for us, as we are starting this six week campaign – #SurpriseUsin6 – to raise/recoup $3000 of monthly support. Just today we got a message that someone was going to begin supporting us & then almost immediately we got another message that someone was going to stop giving. This is life, isn’t it? That is a part of life, but this is more the norm for us & we are longing for God to change lives in big ways, including our lives, & we would love to not feel like the wheels are spinning. Would you pray for us? 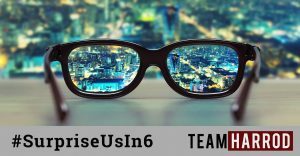 Would you help us see God #SurpriseUsin6? Every second Thursday our missional community (MC) and other friends go down to the main train station in Prague to serve our friends that are homeless. It has been a blessing to get to know many of these people on personal levels over the last two years as we have served drinks, food, soup, and given them clothing. To know the name and the story of a person that you might pass on the street changes everything. They are no longer an object of scorn that you can just look down on. They become a person. 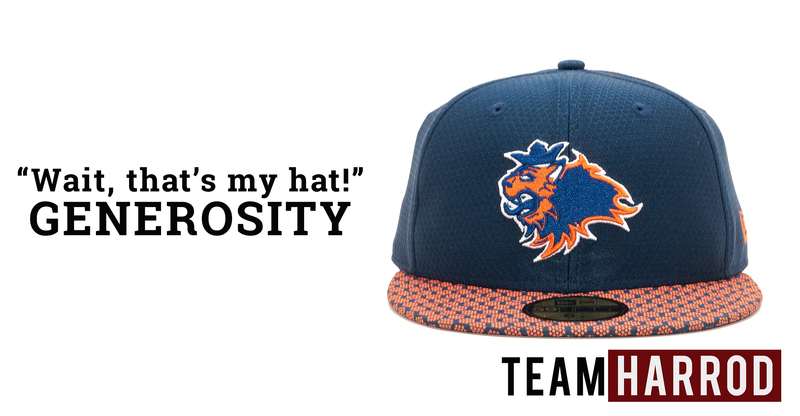 My first thought was, “Wait, that’s my hat!” Then the wrestling match in my heart began with God. I could hear the still, quiet whisper, “Zach, let it go. 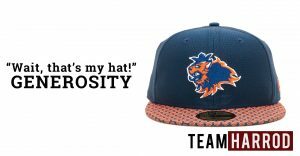 Be generous, you can get another hat.” But my heart wanted none of that and I retorted with, “But he just took it off my head and I, I…”. I had nothing. There are times when my reaction is much different, times when I’ve given the shirt off my back to people. I try to live a life of service to others, but then there are these default moments where I cling and hold on to “my” stuff. I’m thankful for these moments where I’m operating out of the ugly default because it allows me to see that I still very much need Jesus. It allows me to see that I need His Spirit to continue to change me. This is why our MC serves and lives on mission together, because when we do this together, we can see where we need Jesus to speak into and change us. The motivation behind our generosity isn’t to prosper or be refreshed. Our motivation to give and be generous is because Jesus was more generous with us than we can ever imagine. This verse has encouraged us that in the face of difficulties or, as I wrote, heart-breaking, gut-wrenching events, we shouldn’t shrink back. Rather, we need to be more generous and allow God to use the generosity to lead to sustained momentum or how Proverbs 11:25 puts prosperity and refreshment. With that being said, would you help us, the Harrodovi, as 2018 closes out and we set our sights on 2019? Would you consider being generous, so that we could be generous in Prague? We so badly need prayer that God would move and continue to provide for us, but we also need to meet some financial goals so that we can continue to live and do ministry and Prague and moreover so that we can be GENEROUS! If you want to give, click HERE. Thank you in advance, as your generosity will allow us to be generous! Hello all, so we are off to DC for 13 days to connect with friends, National Community Church, & also raise some much needed support. The holidays and the more relaxed part of our trip are behind us and now we have 6 full weeks in front of us. In the past we’ve done campaigns while we’ve been back to raise support, #800in8 & #MonthToFull, and we thought we’d do it again! 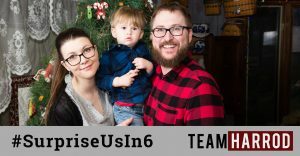 So for the next 6 weeks Míša and I will be sharing about what we do and our needs in what we are calling #SurpriseUsIn6! First and foremost, it’s a prayer that God will surprise us in the next 6 weeks and provide for all of our needs both financially and in prayer. 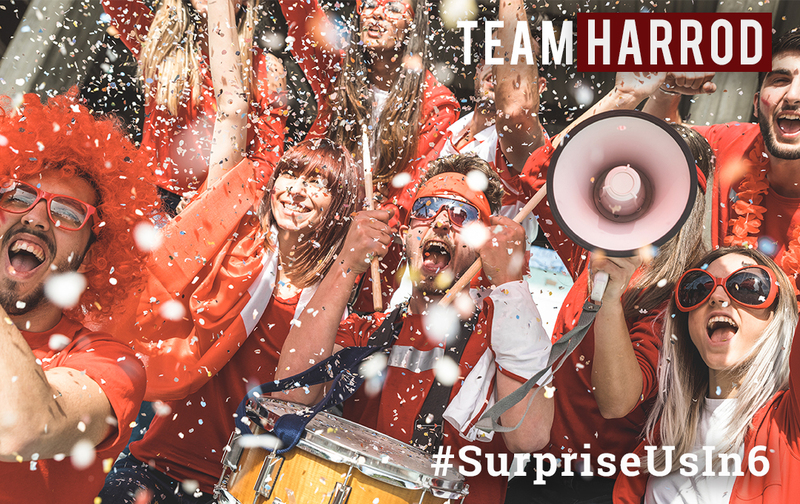 Also we are praying that people like you would surprise us with generosity because after all generosity warms, melts, opens and changes hearts! 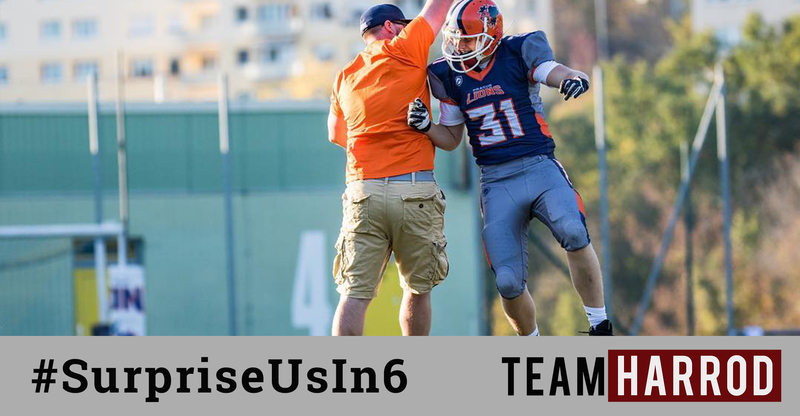 So help us live lives of generosity in Prague by being generous to us! More to come stay tuned. HAPPY NEW YEAR! 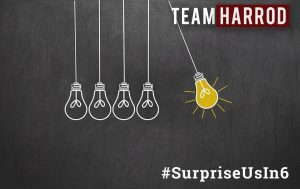 INTRO to #SurpriseUsIn6 from Zach Harrod on Vimeo.